Want to learn the easiest way to make mashed potatoes in under 15 minutes? 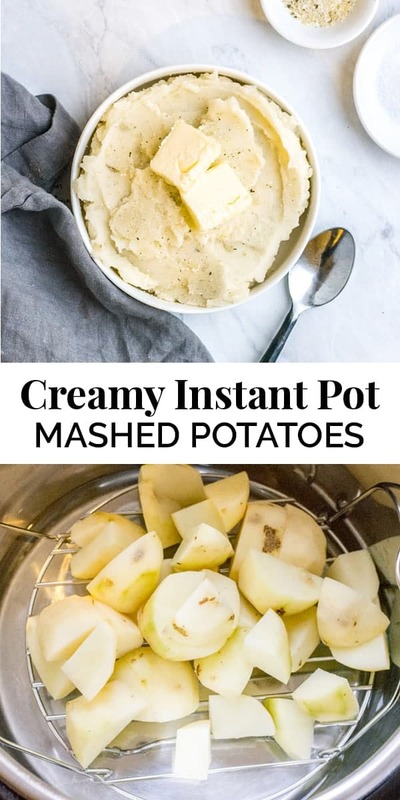 I’m here to hook you up and teach you how to make deliciously creamy Instant Pot mashed potatoes! Never again will you need or want to make them on the stovetop. I love that this recipe is non-fussy and simple. Here’s what you need to make those dreams of fluffy, creamy mashed potatoes come true! Instant Pot pressure cooker. I have the 6-quart and recommend this model. It’s a good size for a family of 3-5 people. 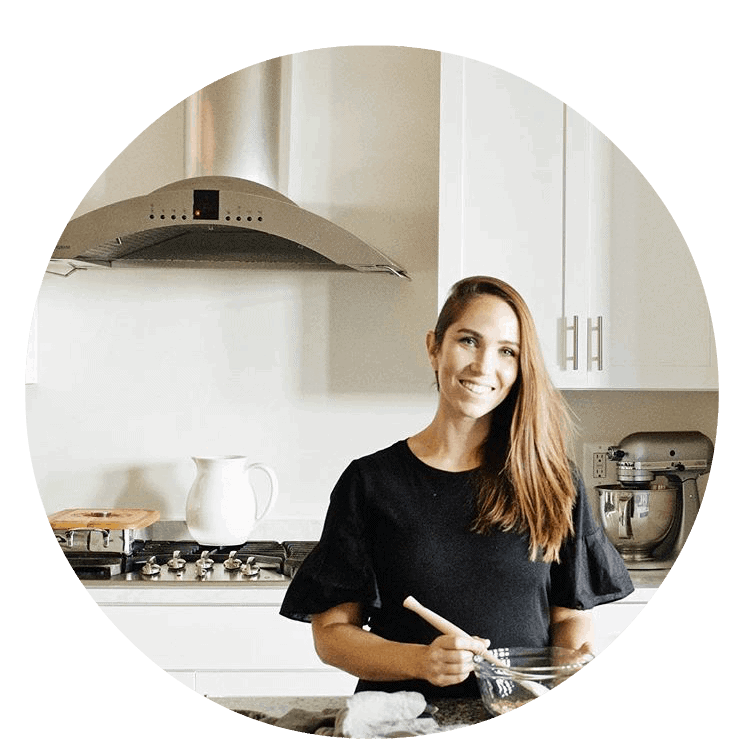 If you want more details on which Instant Pot is right for you, buy my Instant Pot course that walks you through step-by-step details on which one to buy and how to use it. Steamer basket. Your Instant Pot comes with a rack that you can use, but the steamer basket is revolutionary because it has a handle! 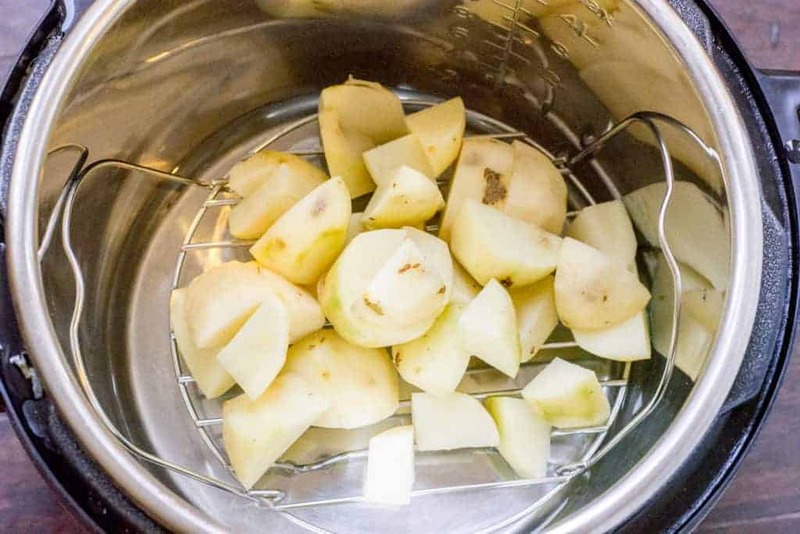 It is easier to pull out of the pot without your potatoes flying all over the place. (Been there, done that, and it’s a one way ticket to second degree burns on your wrist.) I recommend this one. Potato masher. This kitchen tool reminds me of my childhood, because it was always my duty to mash the potatoes! Truly, an honor. I like this brand. Did you know there are seven types of potato categories? Because they contain higher amounts of starch and make for easier mashing. The waxy potatoes, like red, take more mashing and run the risk of pasty potatoes. No bueno. Cook time. Too little and the potatoes are hard and lumpy. Too much, and you run the risk of extra gummy potatoes. Milk to potato ratio. Even something as small as 2 tablespoons of extra milk can leave them gummy, runny, and sad. Make sure you use the right amount. I will walk through that in the recipe at the bottom of this page. I also like to use whole milk because it makes them extra creamy and amazing. Mashing method. (Doesn’t that sound like a great band name?) As mentioned above, I use the masher tool that looks like squiggle lines. It mashes them without flattening the life and texture out of the potatoes. Some people use a mixer, but I find that a bit too aggressive in breaking them down. 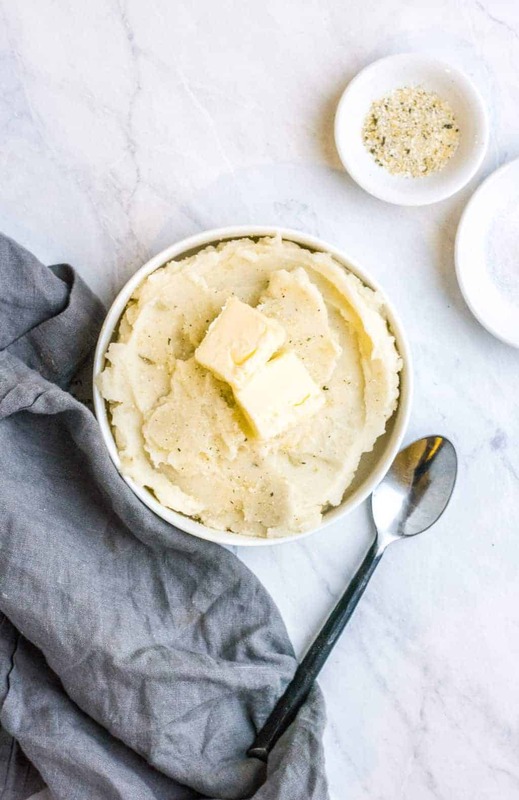 Here’s why you should consider keeping the skin on mashed potatoes. 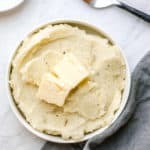 Ready for this amazing recipe for cream Instant Pot mashed potatoes?! Grab it below and enjoy! Pour water into Instant Pot. Place steamer rack or basket in the pot. Layer potatoes on steaming rack so they are elevated above the water. Lock lid, seal, and cook potatoes on manual high pressure for 8 minutes. While potatoes cook, mix milk and butter together in a small saucepan on medium heat until warm. Set aside. Flip the valve to quick release pressure once potatoes are done. Transfer to a bowl and mash. Pour in milk mixture and mix with a spoon until creamy and fluffy. Sprinkle in garlic salt, salt, pepper, and any additional desired herbs. Serve while warm. Enjoy! Keeping the skins on allows for greater nutrition value, however you can peel them for a more smooth texture. If you love the cheesy factor, add in some cream cheese. Adjust the milk ratio for varying potato textures if you prefer them more stiff or soft.